On May 25, 2018, President Trump issued Executive Order 13839 entitled Promoting Accountability and Streamlining Removal Procedures Consistent With Merit System Principles (Executive Order 13839). Ensuring Integrity of Personnel Files. Agencies shall not agree to erase, remove, alter, or withhold from another agency any information about a civilian employee’s performance or conduct in that employee’s official personnel records, including an employee’s Official Personnel Folder and Employee Performance File, as part of, or as a condition to, resolving a formal or informal complaint by the employee or settling an administrative challenge to an adverse personnel action. The Office of Personnel Management (OPM) has now issued a notice on this provision. It is entitled “Interpretive Guidance on Section 5 Ensuring Integrity of Personnel Files Contained in Executive Order 13839”. 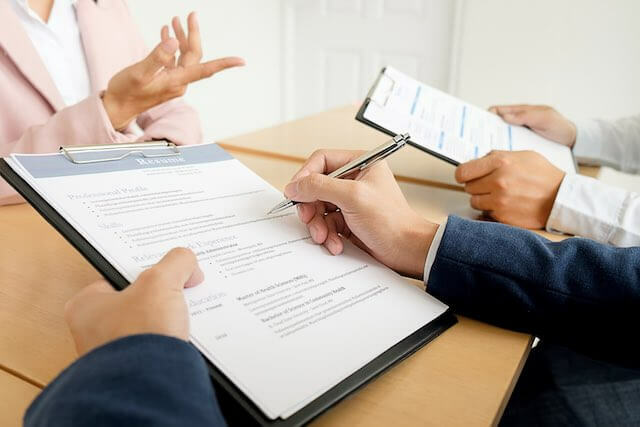 [T]o maintain accurate personnel records and to not alter the information contained in those records in connection with a formal or informal complaint or adverse personnel action. It is further intended to ensure that those records are preserved so that agencies can make appropriate and informed decisions regarding an employee’s qualification, fitness, and suitability as applicable to future employment. As is apparent from the language in the Executive Order, there is a concern that an agency with a problem employee would sometimes withhold information about the problem from another agency. If there was no record of the problem, the employee may end up working in another agency. In order words, the problem would just shift to another organization if the employee gets hired elsewhere. What happens if an agency makes a mistake or did not have all of the information with the result that a personnel record is inaccurate? In effect, OPM says an agency should continue with a personnel action, even if the information contained in a personnel record is inaccurate. The agency should unilaterally take action to correct the personnel record. Also, an agency must ensure it removes only the information that the agency has determined to be inaccurate. In plain English, what this means is that if an employee does not agree with the agency’s decision, the agency should make the correction anyway. If an employee has filed an appeal or complaint pertaining to action taken in error or inaccurate information, the agency should take action to make sure the personnel record is accurate. An agency is also required to report to OPM agreements regarding removal of information from a personnel record. Section six of Executive Order 18939 outlined data for agencies to collect and report to OPM starting with fiscal year (FY) 2018. OPM announced it would publish this information from agencies but aggregated at a level to protect personal privacy. An agency may cancel a proposed personnel action when evidence becomes available before a final decision is reached by the agency.When an employee’s personnel file or other agency records contain a proposed action that is cancelled, an agency has the authority to remove the action from relevant agency files. But, with the requirements of Section 5 in mind, the requirements of the Executive Order still apply to accurate information about the employee’s conduct leading up to the proposed action or the employee’s removal from federal service. In May, President Trump issued three Executive Orders regarding collective bargaining, federal employee unions and firing poor performers. A judge for the U.S. District Court for the District of Columbia concluded that major portions of these Orders were not legally issued. That decision has been appealed by the Department of Justice. In any event, the new guidance issued by OPM was not impacted by the decision that concluded other major provisions of the Executive Orders were illegal.